"Seven Ways to a Million Dollars"
Yes, that’s right! This topic is one you don’t want to miss. Rick Girgis of Equitable Consulting, hosts “7 Ways to a Million Dollars”. In 7 Ways to a Million Dollars, Rick will discuss the 7 most common successful real estate strategic approaches that associated investors use to accumulate wealth, including the exit strategies and various types of mortgages used to leverage and make plans possible and why some plans are better than others. He will specifically identify types of property from Single Family & Multifamily to Commercial. He will detail a plan for all ages, with various income, assets, credit, experience, and time required to execute each plan, and criteria to qualify for the mortgages that make it all possible (including: FHA 203k, FHA Reverse, Fannie Mae, Freddie Mac, & VA on the residential side, and Non-agency commercial (Soft Money), Hard Money, & even SBA on the commercial Side). "Steve Laube's Mastering Passive Income course gave me the tools I needed to perform a much-needed assessment of my current portfolio and business model, as well as create a budget. Steve shares his wealth of knowledge and experience, and personalizes this course by setting aside time to work with each student one-on-one. This course gave me the ability to make some big decisions, one of which included identifying and selling an under-performing property. Managing a portfolio of sing family homes on your own can be very intimidating. Joining GaREIA is one of the best decisions I have made. It has given me a support system of other real estate professionals that are here when I need questions answered. No matter if it is finding a sub, help with a lease issue, or how to file evictions or tax appeals, the people here are so supportive, open and honest with their knowledge. I am not sure I would have made it in this business without GaREIA." Plus, I save $170 with the Behr paint discount that paid for my GaREIA membership within a few months! I also received a nice gift card from Home Depot with GaREIA''s 2% back incentive program, which was $100. So my ROI, just on hard money costs alone is 81% ($170+$100)/$149 (membership). Not bad!! The Dealmakers and Intown Rehabbers Subgroup meetings are my favorites and always worth the time. My husband couldn''t believe that people truly cared and helped each other. Then he met some of the folks when my house was being highlighted at the Intown Rehabbers'' meeting - and then he understood. Thank you GaREIA!" Rick Girgis is the Principle Consultant (PC) of Equitable Consulting, Inc. a mortgage company, established in 1999. Where-in, as the PC, he holds the roles of Licensed Loan officer, Non-delegated Underwriter, and private fund manager. 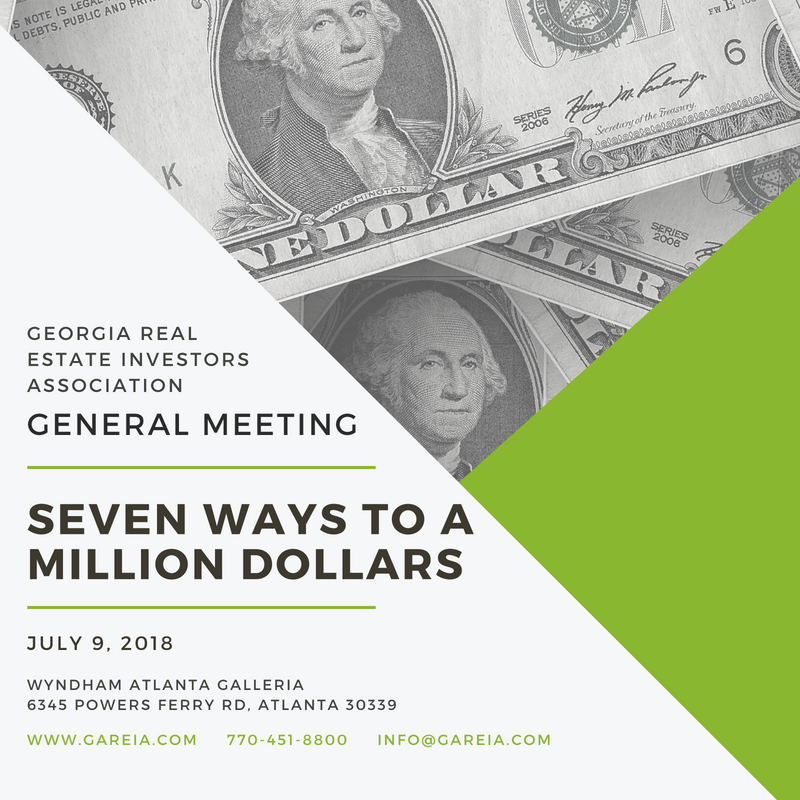 Mr. Girgis is the Director of Education for the Georgia Real Estate Investors Association (GaREIA), a GaREIA Business Associate member, a member of the Atlanta Commercial Board of Realtors, Mortgage Bankers Association, Georgia Association of Business Brokers, and The Lockwood team of KW Commercial. He holds licenses with National Mortgage Licensing System, Georgia Dept. of Banking and Finance, Florida Dept. of Financial Regulations, and Georgia Real Estate commission. He and his team have been consulting and developing plans, finding investment opportunities, and procuring mortgages since 1999 to the motto: “we measure success one satisfied client at a time.